While the Delhi Judicial Service Examination, 2014 is being examined by the Supreme Court of India for alleged irregularities, a petition has been filed in the High Court of Delhi, challenging the Delhi Judicial Service Examination, 2015. The petition was posted before a Bench of Justice Sanjiv Khanna and Justice Ashutosh Kumar on March 11, 2016. Justice Kumar however recused himself. The petition was then listed before Justice Sanjiv Khanna and Justice Najmi Waziri, who issued notice to its Registrar General, granting it 10 days time to file an affidavit. The Petition, filed by one of the unsuccessful candidates, Mr. Manish Gupta, has alleged that the question paper contained ambiguous questions. It has hence demanded that the answer key be quashed and marks be awarded for questions which can have more than one answer. “Petitioner was flabbergasted after looking at the answer keys since it involved lot of ambiguities and many questions which had multiple answers were wrongly marked correct. Some of the keys were demonstrably wrong in the opinion of a reasonable body of persons well-versed in the subject and some keys were incorrect beyond doubt,” the petition reportedly states. Mr. Gupta points out that the High Court had invited objections after releasing the answer key. Acknowledging certain errors, a revised key was issued. This key, he claims, reveals the ambiguity in 13 questions. He further alleges “blatant laxity” in performance of statutory duty, noting that out of these 13 questions, 5 answers were found to be incorrect in the previous answer key. Laying to rest the uncertainty surrounding the Delhi Judicial Service Exam, 2014, a Division Bench of the Supreme Court had recently accepted the interim report filed by retired judge, Justice P.V. Reddy. The Bench noted that the marks of several candidates had been increased, as a consequence of which, 12 of these candidates were eligible for the interview. 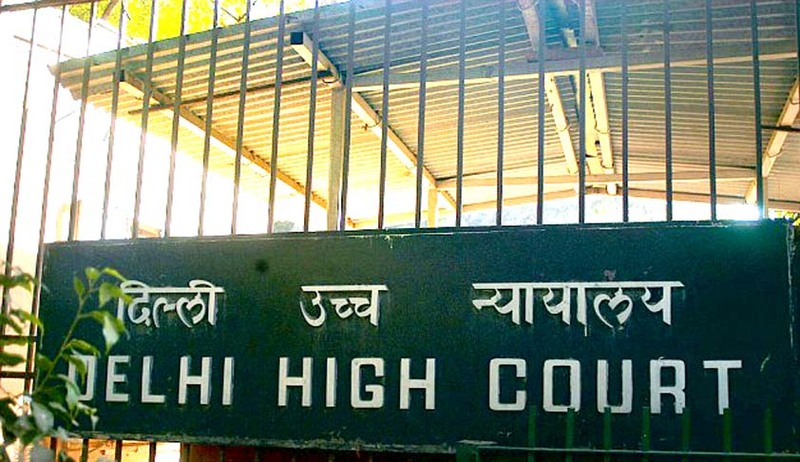 The Delhi High Court was then directed to conduct the interview within a period of four weeks. The Apex Court had further ordered that the interview be conducted by the same bench which had conducted the interview of the 15 candidates originally selected. You may read the LiveLaw article here. The question of irregularity in the results of the Delhi Judicial Service Examination, 2014 had come to light through a letter written by Law Minister Sadananda Gowda to Delhi HC Chief Justice G. Rohini last year in June, wherein the latter had been urged to look into the “corruption, favoritism and nepotism” in the examination. He had stated that, “the Department of Justice has received many grievances alleging corruption, favouritism and nepotism in the recently concluded Delhi Judicial Services Examination, 2014.” You may read the LiveLaw article here. Soon after, Advocate Prashant Bhushan had also written to Chief Justice of Delhi High Court, Justice G. Rohini, bringing to her notice the apparent irrationality in the results. In the letter, Mr. Bhushan claimed to have been approached by several students/ candidates, “with the facts and documents which show very startling information/data regarding the said result and also raise serious questions about the evaluation method/selection process being adopted for selecting the lower judicial officers in Delhi.” You may read the LiveLaw article here. Following this, Centre for Public Interest Litigation had petitioned the Supreme Court, challenging the entire selection process and evaluation method adopted in Main (Written) Examination, on the grounds of it being unreasonable, arbitrary and hence, in violation of Article 14 of the Constitution. You may read the LiveLaw article here. The Supreme Court had, in August last year, restrained the Delhi High Court from declaring final results of the exam till its further orders. But the court had allowed interviews and the other processes to go on. Later in December, it appointed former Supreme Court judge, Justice P. V. Reddy to revalue 659 answer sheets of examination. You may read the LiveLaw article here.